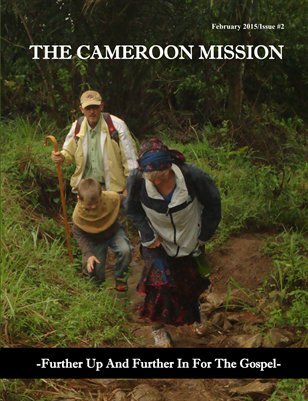 Further Up And Further In For The Gospel shares the Waite Family's future plans of returning to Cameroon, Africa to continue the work of the Gospel in 2015. This magazine's purpose is first to glorify God and second to raise awareness of this ministry among the Believers in the U.S. as well as in other parts of the world. Our hope is that other Believers will join us in this ministry so that the Gospel will continue to spread further into Cameroon and beyond! !